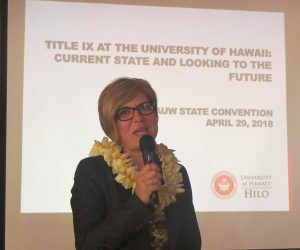 The Kona Branch was chartered in 1971, joining the Hilo Branch to serve the women of the Big Island. Growing from less than a dozen, our membership currently approaches 80! 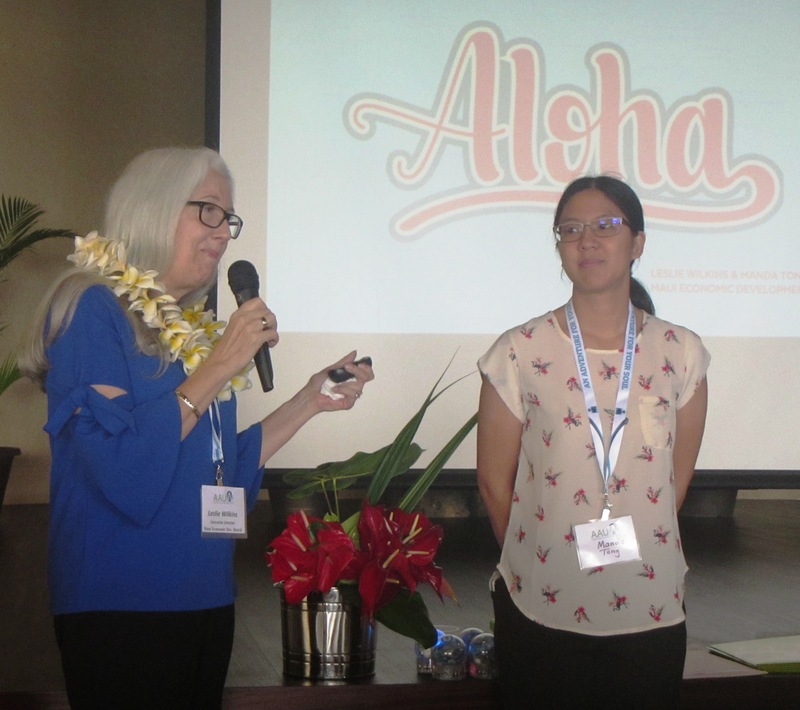 Most of Kona’s members are retired, but several remain active in their careers. 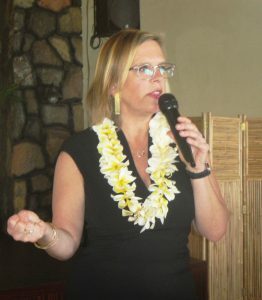 We have many members who are “snowbirds”, spending only the winter months in Hawai’i. Our common bond is our mission: to advance equity for women and girls through advocacy, education, research, and philanthropy. We particularly focus on education, providing annual scholarships to high school graduates and monthly story times to pre-schoolers. The biggest event each year is GEMS (Girls Exploring Math and Science) which is a full-day, hands-on educational opportunity for 5th grade girls provided by women who use these skills in their occupations. For more information, see the GEMS drop-down menu. We are an active group of intelligent women with boundless energy and a passion for service. We believe in equality and life-long learning. We enjoy each others’ company whether in work or play. Our motto is “Fun – with a purpose!” Come join us. For more information, contact Linda Arlington (President). We will team you up with an appropriate mentor! The Board of Directors invited all interested branch members to attend a 1/2 day retreat to re-examine our priorities and plan accordingly for the 2018-2019 calendar of events. Fifteen women shared the excitement first ignited by our AAUW CEO, Kimberly Churches, at the state convention. Focusing on MISSION, NOT MEMBERSHIP was the key idea. All attendees felt that the morning was well-spent. 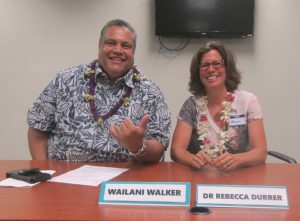 Even with the focus on mission, one new committee was formed to enhance membership: A Welcoming Committee! 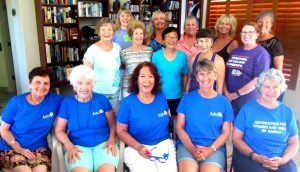 Members of this committee will be given names of new members so that personal invitations to events, offers of rides, and greeters can ease the way into our large and friendly group. This committee will be chaired by the VP Membership. Inactive members will also be contacted with the goal of encouraging more participation. 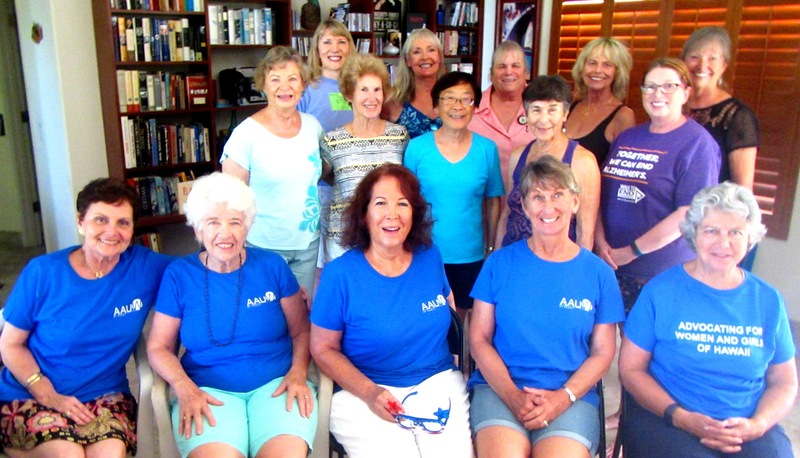 If you are an AAUW-Kona member and would like to join this committee, contact Jamie Pardau. 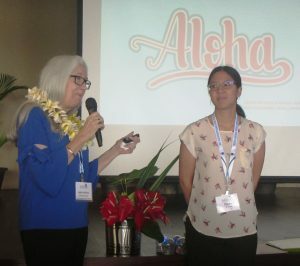 KONA HOSTED THE STATE CONVENTION THIS YEAR, APRIL 27-29. Below: a group photo, AAUW CEO Kimberly Churches, Dr. Jennifer Stotter from UH Hilo, Leslie Wilkins from Maui Economic Development Board with intern Manda Tong.